Hairy Thing Keychain. Some people think it's ZZ Top and others Cousin It from the Addam's Family, but who knows what it realy is? . 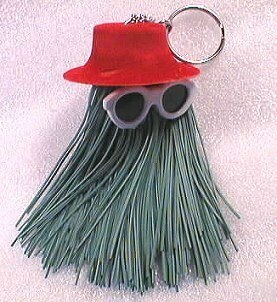 Wallpaper and background images in the Keychains club tagged: hairy thing thing keychain keyring. This Keychains photo might contain broom. You know that looked familiar!